When we think about cannabis on a construction site, most people don’t imagine building materials. The United States construction industry has been missing out on one of the most durable, cost-efficient building materials known to mankind. Marijuana and the non-psychoactive hemp plant are both members of the cannabis species. The psychoactive component of the marijuana plant (THC) does exist in hemp, but in extremely small quantities. Hemp is high in CBD, a different cannabinoid that counteracts the effects of THC and has shown to have analgesic, anti-inflammatory and anti-tumor effects. So what can this plant really offer the construction industry? Hemp can be used to create superior building materials such as: bricks, cement, fiberboard, paint, caulk, plastic, insulation, roofing and flooring. Hemp fiber-based building materials are superior to common building materials due to their light weight, durability, mildew-resistance and insect-resistance. Hemp is also waterproof, flexible (ex: earthquakes) AND has great potential as a sustainable housing solution for individuals. 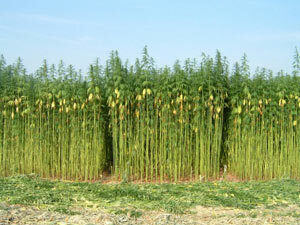 Compared with timber, hemp plants grow much faster and can produce much more raw material per acre. While a few pioneers in the U.S. are embracing hemp-based construction, hemp-based materials and building methods are becoming popular elsewhere. A recent story coming out of Scotland examined the planned construction of a brand new town where every house will be constructed almost entirely out of hemp. How much for one of these homes? Well, that depends on the availability of hemp. Due to its legal status, hemp products of any kind must be imported into the United States. The cost to import hemp products is prohibitive in the construction industry. 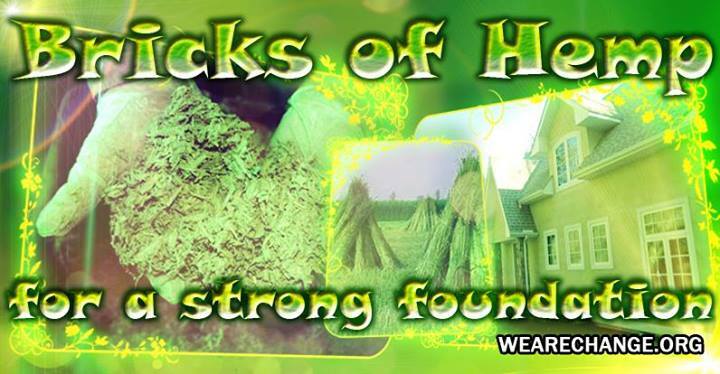 Where the cost of imported hemp products used to make soaps and clothing are passed down to the consumer at a somewhat manageable price, the import cost is much greater in the field of hemp construction. Lobbyists against the legalization of domestic hemp farming include the DEA and the private prison-labor industry. They argue that the hemp plant looks similar to marijuana which will make it difficult for law-enforcement to distinguish between the two. Alcohol and pharmaceutical companies are involved as well. 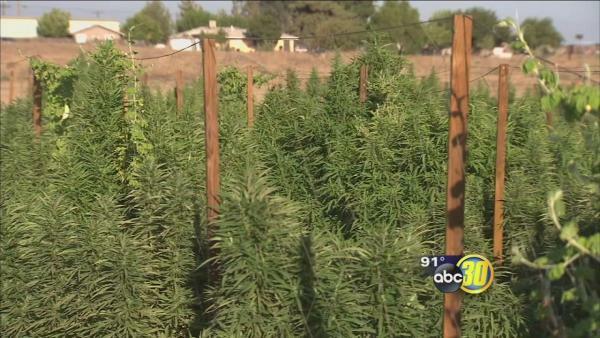 Several states have recently legalized the farming of industrial hemp with Kentucky and California the latest to do so. Despite this progress, states must still seek approval from the Dept. of Justice in order to farm under federal law or face prosecution. Almost every year since 2005, an attempt has been made to declassify hemp as a drug with the help of former Texas congressman and chief sponsor of Vote Hemp, Ron Paul. Oregon senator Ron Wyden introduced a similar bill to be attached to last year’s Farm Bill, and this year he did the same with H.R. 2642–2013’s Farm Bill. As the topic of industrial hemp slowly gains recognition here in the states, we will undoubtedly see some big changes in the construction industry and the quality of our homes in the future. Get involved with Vote Hemp!